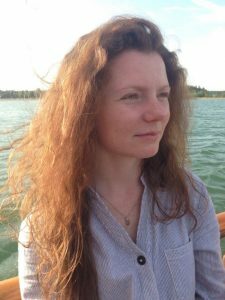 Irina Chevtaeva is currently working as editor at The Russian Department of Deutsche Welle in Bonn and as correspondent for The Novaya Gazeta Newspaper in Moscow. Previously, she studied Journalism at the Lomonosov Moscow State University and worked as a journalist for the Radio Free Europe/Radio Liberty, The New Times Magazine, The Soverschenno Sekretno Newspaper and the TV-channel ARD in Moscow. She also completed internships at ARD and Radio WDR 5 in Cologne and Phoenix in Berlin. Irina is especially interested in human rights issues.